In the Empire of Japan, there were two holidays dedicated to the country's military: Army Commemoration Day (March 10) and Navy Commemoration Day (May 24). After the defeat in the Second World War, Japan was derived of any military capability and had only a minor domestic police force to ensure security. 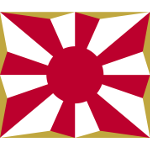 The Japan Self-Defense Forces (JSDF) were officially established on July 1, 1954. SDF Commemoration Day was first held in 1966. It was eventually decided to move the celebration to November 1, because July 1 falls during the season of typhoons, and bad weather prevents from celebrating the occasion properly. SDF Commemoration Day is not a public holiday. The parade honoring the SDF usually takes place during the last week of October. It is held every three years. The JSDF consist of three branches: Japan Ground SDF, Japan Maritime SDF, and Japan Air SDF. The number of active personnel is approximately 260,000. The Prime Minister is the commander-in-chief of the SDF. In 2013, the National Security Council was established, with the aim of reforming the JSDF.